Great live show in Rio. Ticket to a great Live Show in Rio! In the morning, while we move along the beaches of the South Zone of Rio to collect guests, you will catch up nice views from famous beaches such as Leblon beach next to the famous Ipanema Beach. In Copacabana you will testify why cariocas have such a beautiful tan. While you travel through these neighborhoods, you will hear a few tips on what to do around them and the interesting stories that took place in these streets. 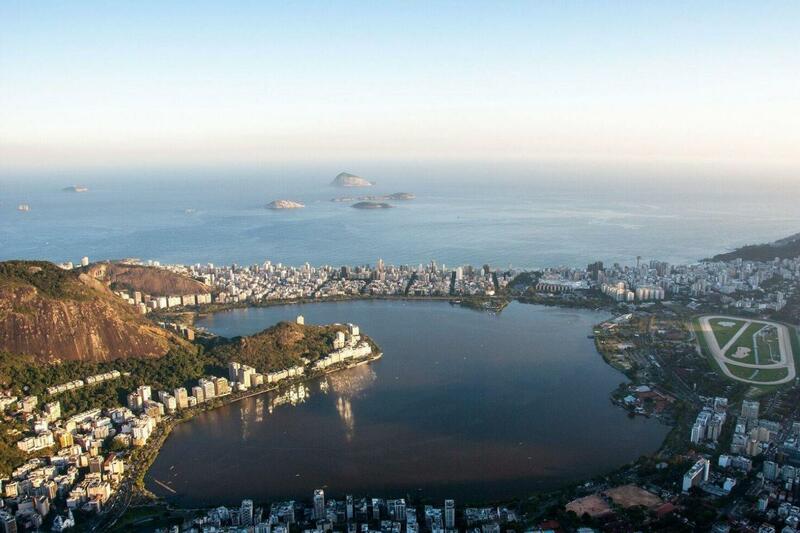 Head Downtown through the charming Botafogo shore where you will have the first glimpse of Sugar Loaf. then you will pass through the historic Laranjeiras neighborhood, which hosts the Guanabara Palace, the ancient home of Princess Isabel who signed the Golden Law to free all slaves. After we cross the Santa Barbara tunnel, we will do a panoramic tour of downtown Rio passing next to the Sambodrome and a stopping at the Metropolitan Cathedral which was built in a pyramidal form with an internal diameter of 96 meters and a height of 80 meters. You will have a few minutes to visit the Cathedral until it’s time to get back to the bus and get perspectives of the traditional Cinelândia Square with its historical buildings, the Municipal Theate. From there, you will make your way to Urca through Aterro do Flamengo and its parks, designed by Burle Marx and hear all about Brazil’s participation in World War II as well as the founding of the city back in the late 1500s, just before arriving to Sugar Loaf. You will travel all the way to the top in two steps by cable car. The first cable car takes you to Urca Hill, a vantage point 215 meters high for which already grants beautiful views of Guanabara Bay and its islands, Flamengo and Botafogo beaches, Santos Dummont Airport, the Rio-Niterói Bridge, Urca’s neighborhood and Corcovado Mountain. From this stage, a second cable car takes you up to the top. When you get there, you will understand why Rio is considered one of the most beautiful cities in the world. At 395 meters you’ll enjoy breathtaking views from Copacabana beach, Niterói and the Santa Cruz fortress. Explore Urca and Sugar Loaf hills for about 45 minutes before getting back to the bus. Here you can catch up views of the charming city, see the native rainforest and take your best shots you will ever take. Back down behold Rio’s scenery on your way to have a traditional Barbecue Lunch, All you can eat style. Brazilian Churrascarias (Barbecue places) offer a wide variety of sides and alternative options, in case you decide to stick with a vegetarian option, you will still leave delighted. After lunch we make our way to Cosme Velho neighborhood, from we will catch a 20 minute train ride up Corcovado Mountain through the lush and dense Tijuca rainforest to the towering Christ Redeemer statue. Standing guard over the city of Rio, up to 38m tall (125ft).Looking up you will feel blessed and protected by this beautiful monument of Christ with open arms. now one of the new Seven Wonders of the World! From up there you can see most of the town, all of the south zone and all the way to Niteroi. It is a unique view that will astound you. You will have about 40 minutes to get to know all the sides and views of Corcovado and Its worldwide known Christ Statue. After riding the train back down, You will get to know every Brazilian region through dance performance and clothing. Ginga Tropical: Brazilian roots combines diversity and culture with The Journal of Theatre, the Northeast, the Amazon and the Pampas with its Folklore, Bahia with their mystical rituals and the Rio de Janeiro with its incomparable bohemian Lapa, their dance halls and their legendary Tricksters. This is a breathtaking show with fantastic drummers and beautiful Mulatas dressed in outstanding carnival costumes. When you think that the show is close to the end, you may be surprised with interactive dancers. It’s time to shake your hips, so don’t be shy because the show must go on! After this incredible experience, passengers return to the bus which will take them to their respective hotels.